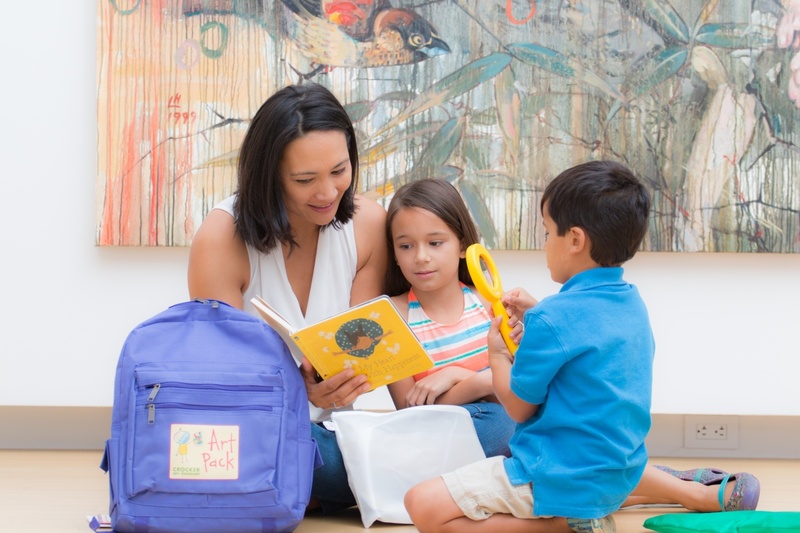 These imaginative backpacks, developed through a partnership between the Crocker, First 5 Sacramento, and the Sacramento Public Library, are full of art-based activities designed to engage children age 0-5 in creative play. Art Packs enable children to explore creative expression through colors, shapes, and patterns with hands-on, play-based activities that can be done in the home or the Museum, at the child’s own pace. School-readiness tools such as books, music, and toys offer activities the whole family can explore together to make learning an adventure. Not only are they free to check out, but each Art Pack comes with a FREE family pass to visit the Crocker Art Museum, where you can explore the galleries and see the painting or work of art highlighted inside your pack.